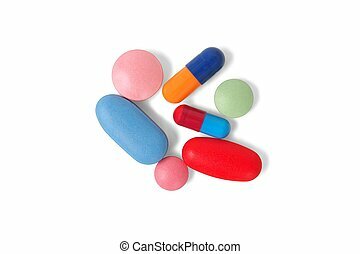 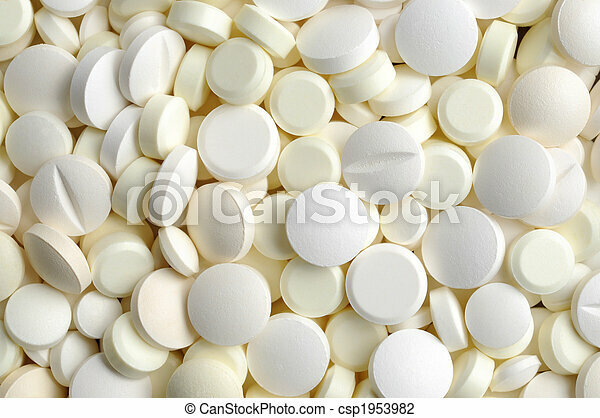 White pills. 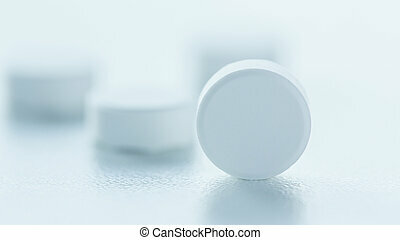 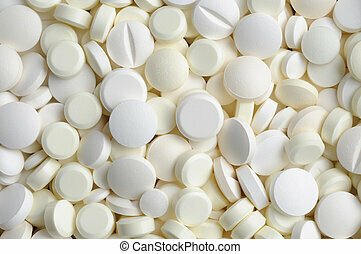 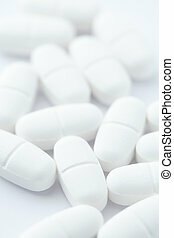 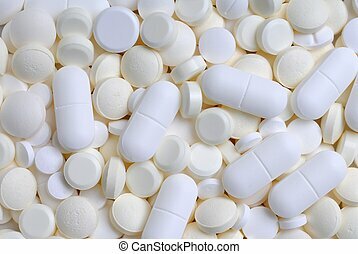 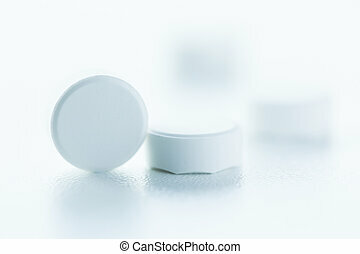 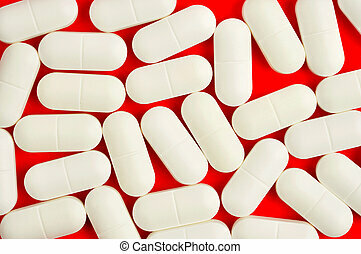 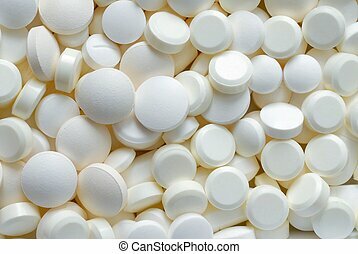 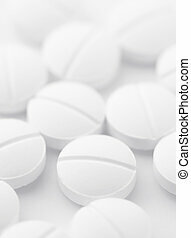 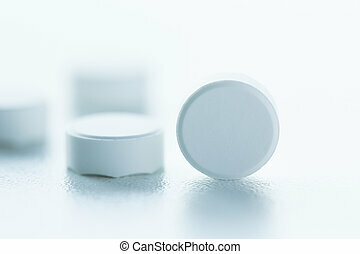 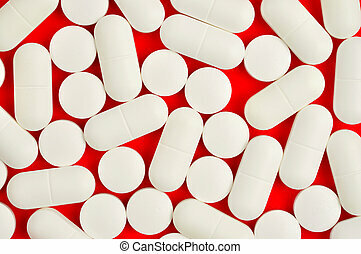 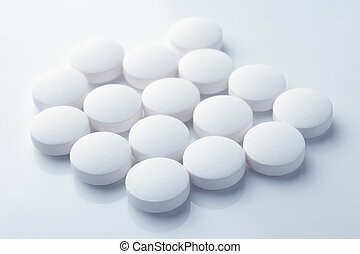 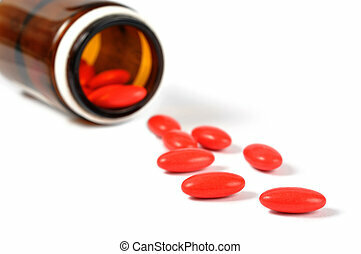 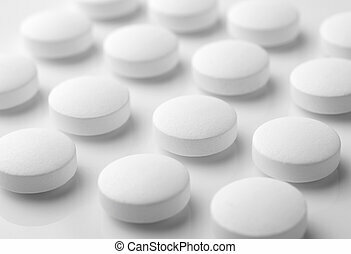 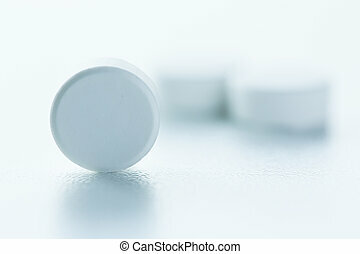 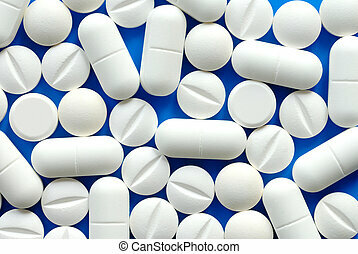 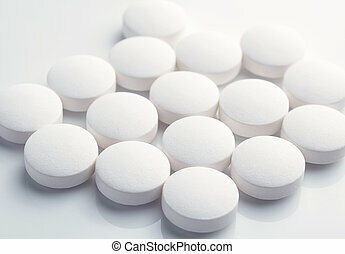 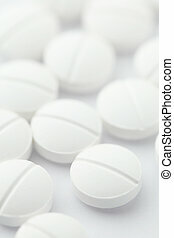 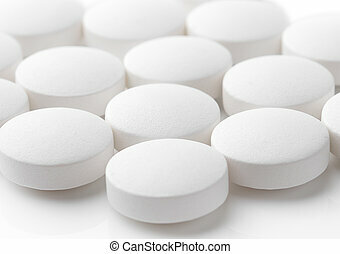 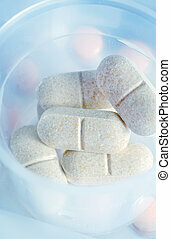 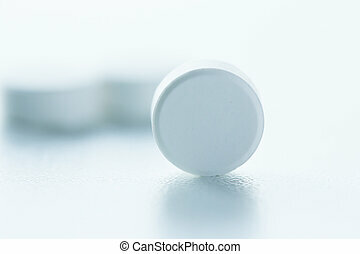 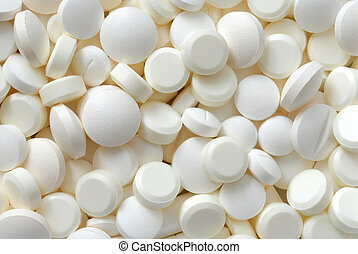 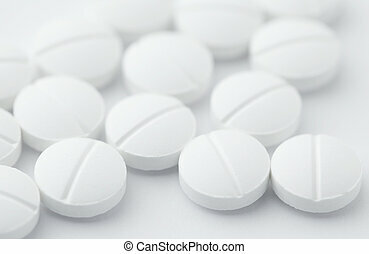 Macro of white pills, can be used as a background. 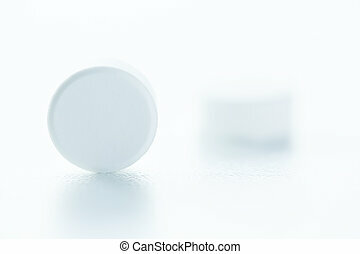 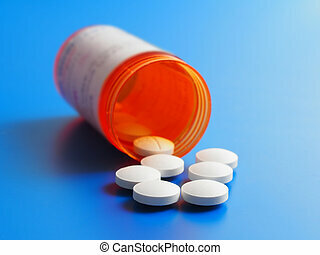 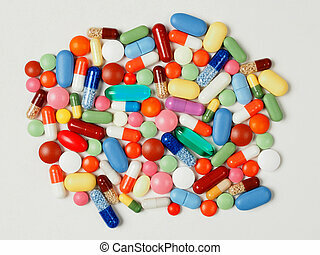 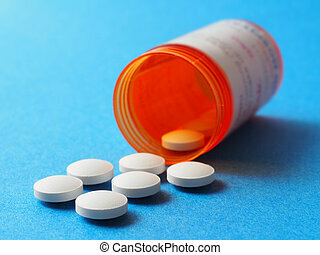 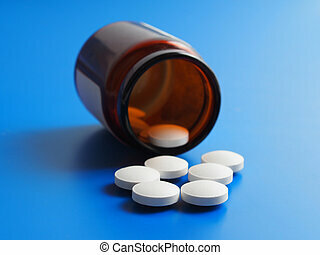 Bottle with white pills on blue background, focus on nearest. 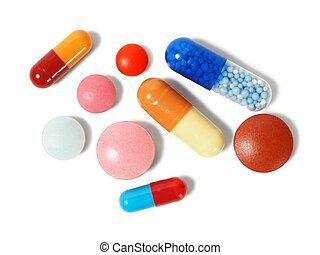 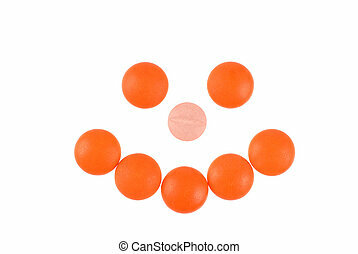 Orange bottle with white pills on blue background, focus on nearest.